Cancer touches everybody’s life in one way or another. But most of us know very little about how the disease works, why we treat it the way we do, and the personalities whose dedication got us where we are today. For fifty years, Dr. Vincent T. DeVita Jr. has been one of those key players: he has held just about every major position in the field, and he developed the first successful chemotherapy treatment for Hodgkin’s lymphoma, a breakthrough the American Society of Clinical Oncologists has called the top research advance in half a century of chemotherapy. As one of oncology’s leading figures, DeVita knows what cancer looks like from the lab bench and the bedside. 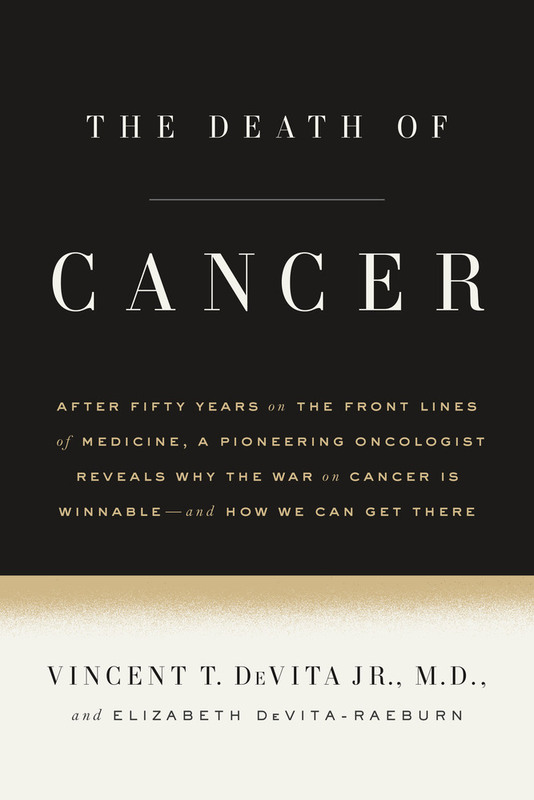 The Death of Cancer is his illuminating and deeply personal look at the science and the history of one of the world’s most formidable diseases. In DeVita’s hands, even the most complex medical concepts are comprehensible. 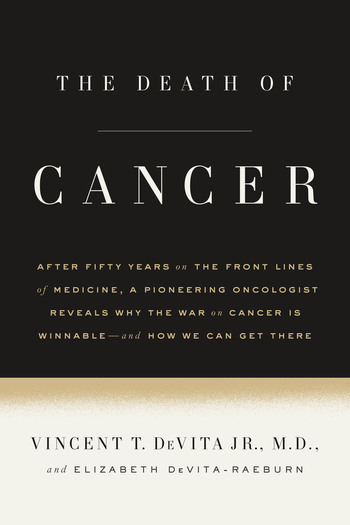 Cowritten with DeVita’s daughter, the science writer Elizabeth DeVita-Raeburn, The Death of Cancer is also a personal tale about the false starts and major breakthroughs, the strong-willed oncologists who clashed with conservative administrators (and one another), and the courageous patients whose willingness to test cutting-edge research helped those oncologists find potential treatments. An emotionally compelling and informative read, The Death of Cancer is also a call to arms. DeVita believes that we’re well on our way to curing cancer but that there are things we need to change in order to get there. Mortality rates are declining, but America’s cancer patients are still being shortchanged—by timid doctors, by misguided national agendas, by compromised bureaucracies, and by a lack of access to information about the strengths and weaknesses of the nation’s cancer centers. With historical depth and authenticity, DeVita reveals the true story of the fight against cancer. The Death of Cancer is an ambitious, vital book about a life-and-death subject that touches us all. Vincent T. DeVita Jr. M.D. "DeVita, an oncologist and professor at Yale School of Medicine, collaborates with his daughter DeVita-Raeburn on this engaging, informative, and inspiring history of DeVita’s prominent role in developing innovative cancer treatments . . . They also unveil some startling insights [and] offer salient advice . . . This remarkable memoir doesn’t just urge the public to have hope: it showcases the exciting evidence that we may finally be winning the war on cancer." Vincent T. DeVita Jr., M.D. is a professor of medicine, epidemiology, and public health at the Yale School of Medicine. He was the director of the National Cancer Institute and the National Cancer Program from 1980 to 1988. In 1988 he joined Memorial Sloan Kettering Cancer Center as the physician in chief. In 1993 he became the director of the Yale Cancer Center. At the NCI, he developed a cure for Hodgkin’s lymphoma with combination chemotherapy, proving that advanced cancers can be cured by drugs. He is a former president of the American Cancer Society and the coeditor of Cancer: Principles & Practice of Oncology, a textbook of cancer medicine. Elizabeth DeVita-Raeburn has written about medicine, science, and psychology for many publications. She is the author of The Empty Room: Understanding Sibling Loss. She lives in New York City with her husband, the writer Paul Raeburn, and their two sons.